Do you want to win more business? Take a close look at the About page of your website. Does the page provide the information your customers are looking for, or is it a boring re-hash of your Company History? Whether you realise it or not, your About page isn’t really about you, it’s about your customers, and getting them to know, like and trust you. 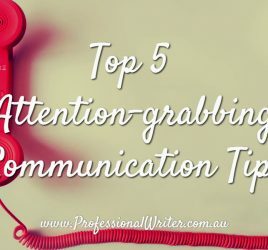 If you want to capture their attention, and their business, you first need to tell them how you can solve their problem, then back it up with the reasons why you can do this. What problem do I/can I solve for them? What does the customer want to know about our company/me? What voice or style do they respond to? i.e. formal or more friendly/casual? If you’re unsure of the answers to these questions, ask your customers. Make a clear and concise statement about what you do for your customers. This gets their interest and provides motivation to read on. Here’s your opportunity to make them want to deal with you by expressing your personality, being informative and entertaining, as well as conveying your company’s culture and values. This enables you to engage them with your personal and/or company’s story and to build trust. You can then include the qualifications and experience you have to back up your claims. Highlight your expertise – accomplishments, awards, volunteer or charity work, associations, education, passion, links to media/press articles you’ve features in, tell them why you do what you do so well. Remember your reader is most likely looking your competitor’s sites as well, so it’s important to clearly state your UVP (Unique Value Proposition – or what makes you stand out from your competitors) on your About page. Research your competitor’s sites to ensure yours stands out. Simply expressing your story and humanising your organisation can be your point of difference too. People want to know who you are, what you stand for and why they should trust you. It’s important to be honest, authentic and real in order to be trustworthy. Personally, I much prefer to deal with an organisation where I can see photos or video on the Home page or About page. Displaying a photo or video provides a further opportunity for people to get to know, like and trust you. Whether you use individual shots or a team picture, it is essential that you include pictures. Invite them to connect with you on social networking sites such as Facebook, LinkedIn or Google+. That way, they have the opportunity to get to know you before they give you their business. 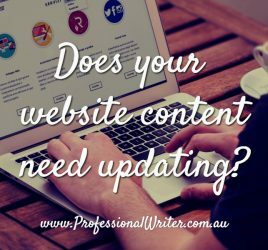 Should you be feeling a little overwhelmed about writing your About Us page (or any other web page), engaging the services of a Professional Writer can often save you time, money and heartache. Feel free to email me to discuss your project – I’d be happy to assist. 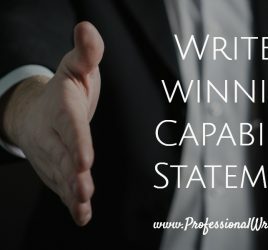 If you’d like to receive more writing tips, please connect with me on Facebook or sign up to the newsletter on my Professional Writer website. And lastly … I’d love to know – what do you think makes a great About Us page? Please comment below. Lyndall Guinery-Smith is The Professional Writer. 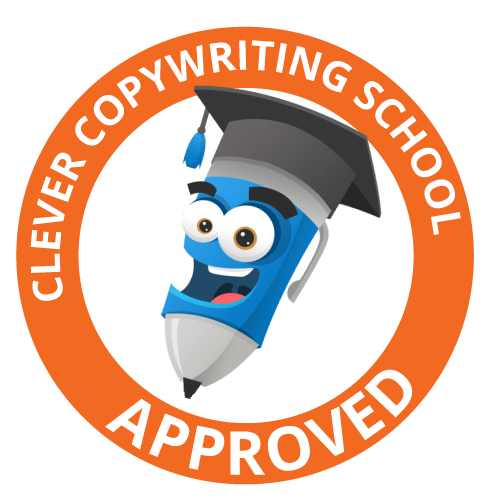 She loves to write copy dedicated to attracting and engaging your customers, and improving your bottom line. Lyndall has a strong background in Real Estate and is a specialist Property Copywriter. She happily works with clients all round Australia. Email her to arrange an obligation-free discussion about your latest project. Oh and yes, my own About page needs an update … after I write my client’s pages!